Though the A-197 EX has a pivotable centre column, it's a pretty basic aluminium alloy tripod, with a maximum height of 1. 64m and a maximum load of 6kg. So it's more suited to owners of entry level SLRs with more modest lenses, and this is reflected in the hundred quid price tag. The A-197 is a three-section tripod and has a traditional clip-lock system rather than the twistlock system that comes on higher-end Benro models. What's immediately noticeable about this tripod is the rather crude horizontal to vertical adjustment on the central column. It feels really basic, even on a tripod at this price point. There's noticeably more flex in the legs too. A bigger worry, however, is the finish; even taking this tripod out of the box seems to leave scratches and marks, so what on earth will it look like after a hard weekend's shooting on the coast or out on the moors? Another problem for the A-197 is that it's up against Manfrotto's excellent 190XPROB tripod, which is a much better entry-level model for very similar money. 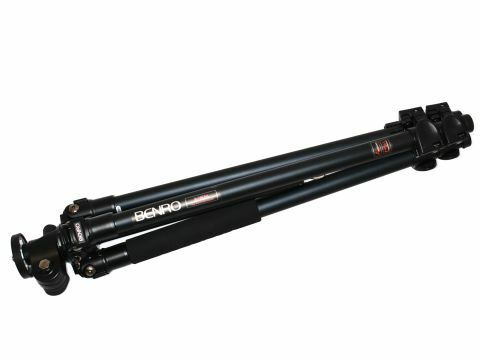 It's easier to use and built to higher standards, so in this case, Benro is totally outclassed by its Italian rivals. There's not much going for this bare-bones tripod; although it's quite light and easy to set up, the flex-tastic legs and woeful finish undermine your confidence in it from the get-go. Definitely one to avoid in favour of the Manfrotto 190XPROB.